Drop off your submissions at the NGC booth for on-site grading. NGC will offer on-site grading and encapsulation of U.S. coins* at the 2019 FUN Show, in Orlando, Florida from Thursday, January 10, until 12:00 p.m. on Friday, January 11. Regular submissions will be accepted until 12:00 p.m. on Sunday, January 13. Cut off times may change due to submission volumes. NGC will be at booth 104. Note: There is a $10 handling fee per submission form for all submissions. NGC Show Representatives will also be accepting submissions for all service levels to be sent to our office in Sarasota, FL. These include World services, Ancient Coin services, Early Bird, Economy, Bulk, Special Designations, PHOTO PROOF and more! Due to the special handling required, NGC does not accept submissions of the following coins at this show for regular service submissions to be returned to the NGC offices: Coins for First/Early Releases designations, coins NGC requires submitted in original Mint sealed packaging, coins over 3.5” (90 millimeters) in diameter and .39” (10 millimeters) in depth, Coin & Chronicles sets, Coin & Currency sets, American Liberty Four-Medal Set, March of Dimes Three-Coin Set, West Point Two-Coin Set, San Francisco Two-Coin Proof Set, 30th Anniversary Eagles, 25th Anniversary Eagles, 20th Anniversary Eagles, American Liberty Series and 10th Anniversary Platinum Sets. These submissions must be sent directly to Sarasota, FL, by the submitter. *Does not include five-ounce coins. 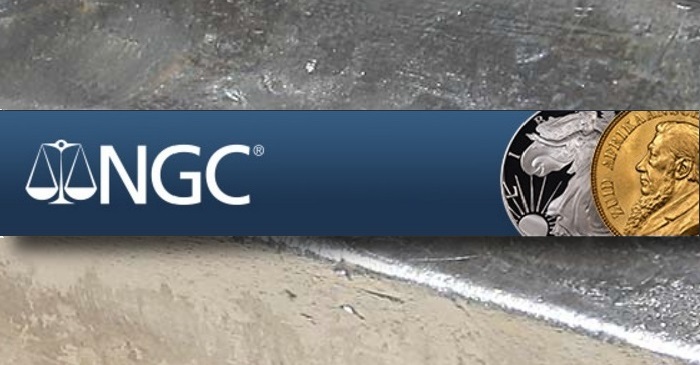 NGC is the official grading service of the ANA and the PNG.